This is not actually a significant unboxing (though I do plan to do those sometimes in the future), but I’m very happy to have finally gotten my Amnesia DVD and the new manga I’m planning to collect! First of all, the manga! This is the Italian version of Demon Prince of Momochi House ( Momochi-san Chi no Ayakashi Ouji; 百千さん家のあやかし王子 ), shoujo manga by Aya Shouto. She’s also known for titles like He’s my only Vampire and Kiss of Rose Princess. The main reason why I thought you guys would be interested to see this is because all (or almost) of Aya Shouto‘s mangas are reverse harems (or have very obvious elements of it). Demon Prince of Momochi House is not much different, however, like He’s my only Vampire, we pretty much get to know who the canon pairing is from the very first few pages. Synopsis: On her sixteenth birthday, orphan Himari Momochi inherits her ancestral estate that she’s never seen. Momochi House exists on the barrier between the human and spiritual realms, and Himari is meant to act as guardian between the two worlds. But on the day she moves in, she finds three handsome squatters already living in the house, and one seems to have already taken over her role! I knew that the DVDs wouldn’t be just simple-white, but I thought they would have the logo on it and that’s all. I was surprised to see Shin and Ikki staring back at me instead and behind them there’s this pretty picture of heroine and Orion. 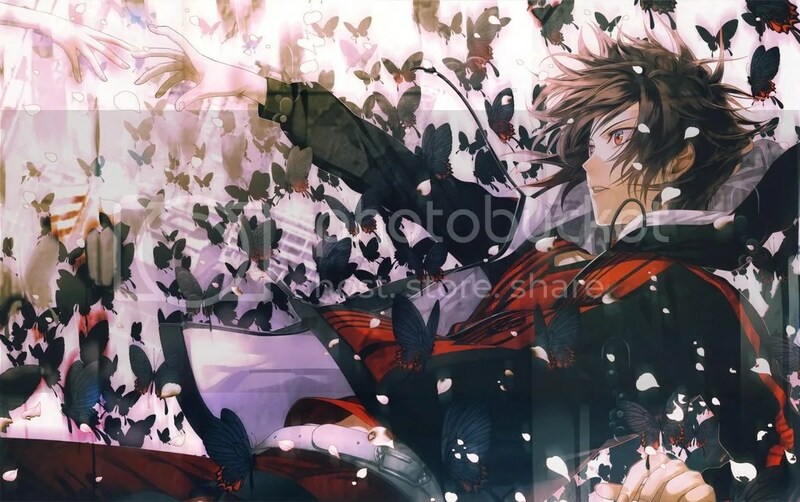 I swear I will one day buy an Amnesia artbook! 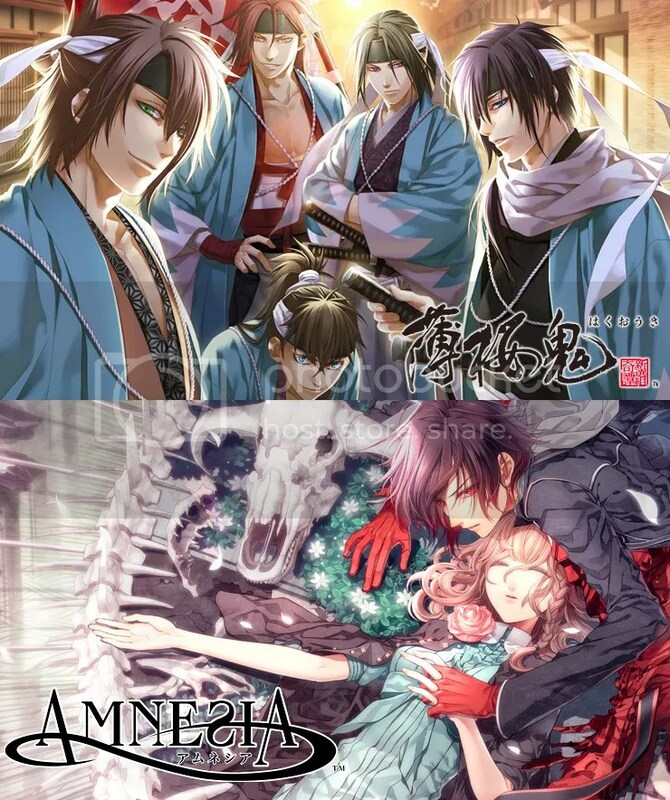 Like Aya Shouto‘s drawings, Amnesia artsyle has something that draws me in. Now off I go to marathon Amnesia anime again! Have a nice weekend! 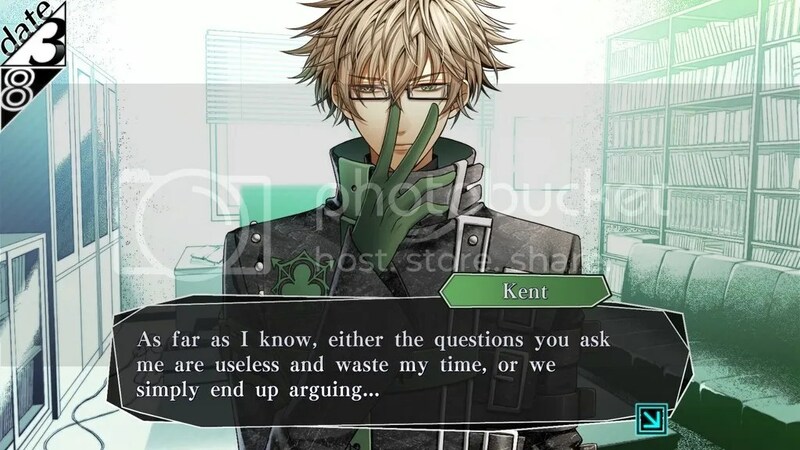 Kent’s route has 1 GOOD END, 1 NORMAL END and 2 BAD ENDS. 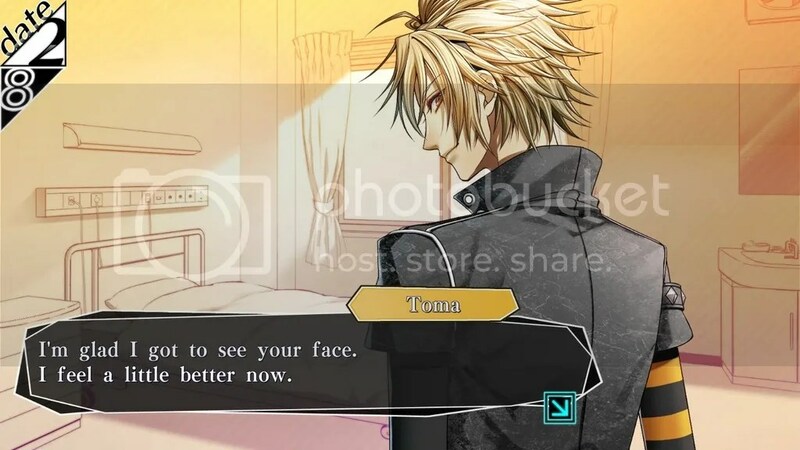 [Let’s talk otome games] Why is Shin the “face” of Amnesia? Note: “Let’s talk” is a new category that I thought about adding. I will treat subjects pertinent to otome games/reverse harem/fujoshi stuff that I feel are worthy to take note of or talk about or that I just consider educational. So on with the first topic! [NEWS] Amnesia: Memories released for iOS and Android devices ! While I already bought Amnesia (or more like it has been gifted to me by a very good friend XD), this is good news for those that have no PSVita or don’t want to make a Steam account/not comfortable playing on PC. 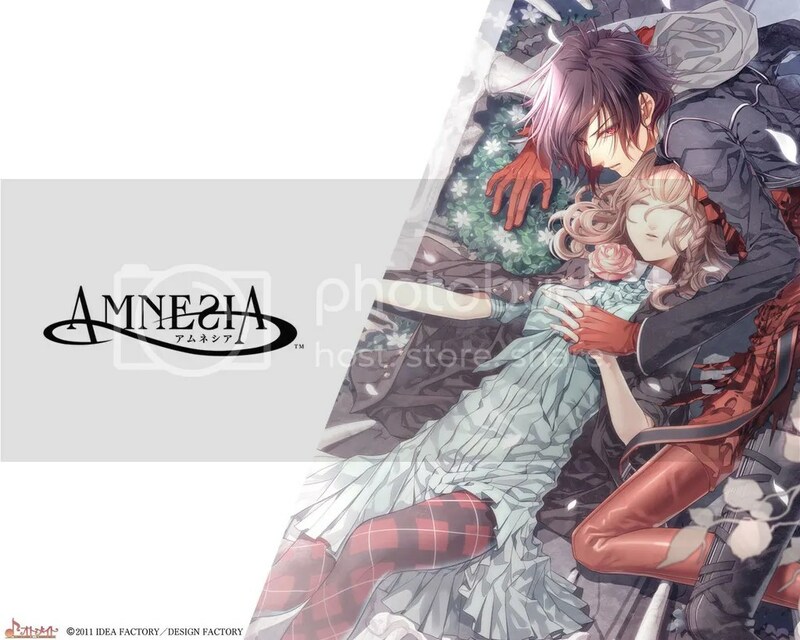 Amnesia: Memories has been released for both iOS and Android devices! There are two versions which I will provide links for below: Normal and Premium. In the Normal you can pay for the respective routes separately if you don’t want them all (though I seriously don’t recommend that since the routes tend to tie together at the end) and in the Premium version you buy the whole game with the same price it has on Steam/PSN. Please support Ify and Amnesia! I didn’t have the chance to post about this before, but since I just found out something that distressed me (though I knew it was unavoidable), I just HAVE to say it! Please. PLEASE! Support Idea Factory International and Amnesia through legal means. The game got released only a couple of days ago in USA, Europe and Australia (not sure if worldwide) on both PS Vita console and PC via Steam and it already got patches and cracks for ILLEGAL download. I realize that you can’t possibly have money for everything that you might be interested in, being a gamer or into the anime/manga community is a quite expensive hobby sometimes, BUT at least buy and support what you LIKE! Set your priorities straight! 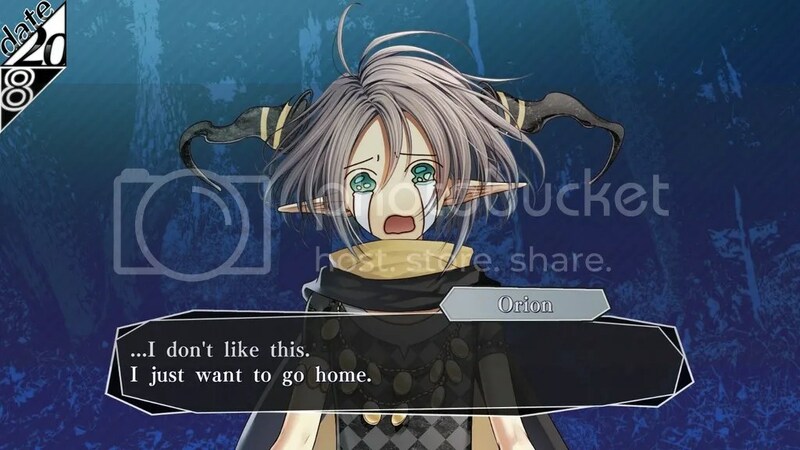 And the feeling with which I’m trying to convey this to you is doubled when being aware that otome games have an uncertain future in the West! Pirating them is the LEAST that the western otoge industry needs and it could even KILL IT! Fortunately the PS Vita was not yet hacked (yet…), but Ify put their faith into us and gambled to bring Amnesia to the PC for those poor unfortunate souls that still do not own a PS Vita. You could at least download it to try it out and see if you like it, but if you like it then BUY IT. I can’t emphasize more how important this is ! It’s not available in your country? Fine. If it’s not available there’s nothing you can do. But the “I don’t have money.” excuse does not justify it if you set your priorities straight! Save up! Every $$$ counts! And better, wait for a sale. Amnesia is already being sold at 40% less till today! You can’t right now? Save for the next sale! There will definitely be more in the future! Also, if you want to possibly see the sequels Amnesia Later and Amnesia Crowd being brought to the West, then it’s even more of a reason to BUY Amnesia: Memories! 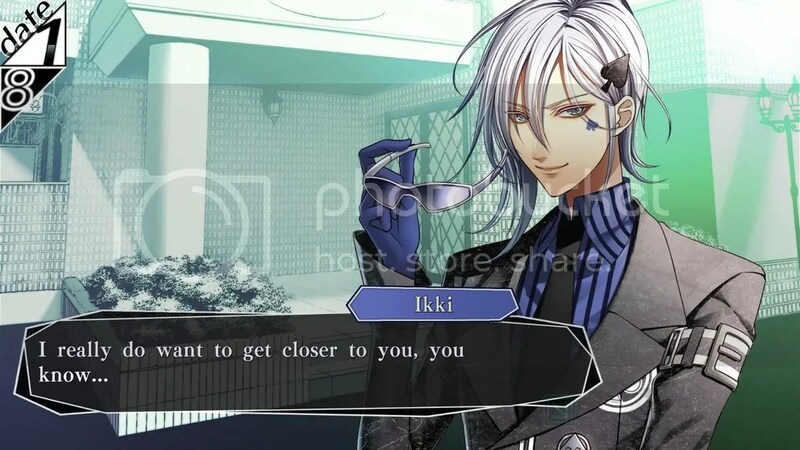 Like Shin’s route, Ikki’s route has 1 GOOD END, 1 NORMAL END and 3 BAD ENDS. Let me get on the Amnesia train! I’m still excited I was able to own it so soon! 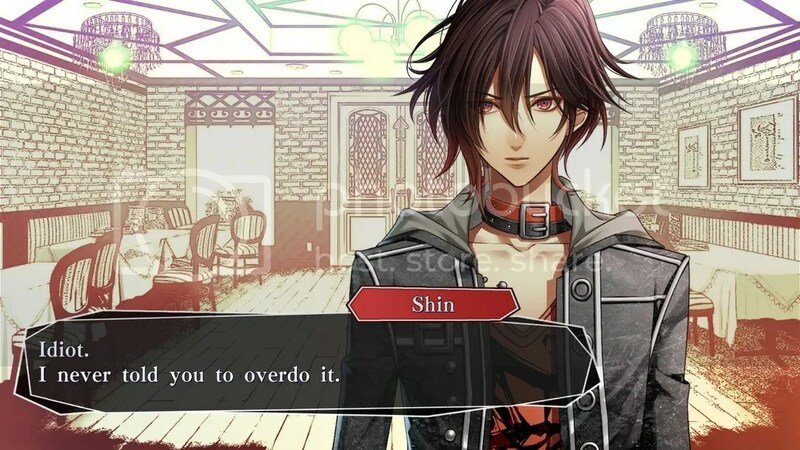 There are 4 endings available for Shin’s route.GOOD END, NORMAL END, and 2 (actually 3 but it’s only slightly different)DEAD ENDS (yes, I mean it.) Also, don’t be afraid to experiment. I usually save before every choice to see the immediate outcome of both options. Proofreader: must be fluent in English to correct any grammatical errors. (For details on the project, as well our current progress, check here.) If you want to join us, please either leave a comment below or email me (ayame-cchi) at kyuuichiiciel@yahoo.com.